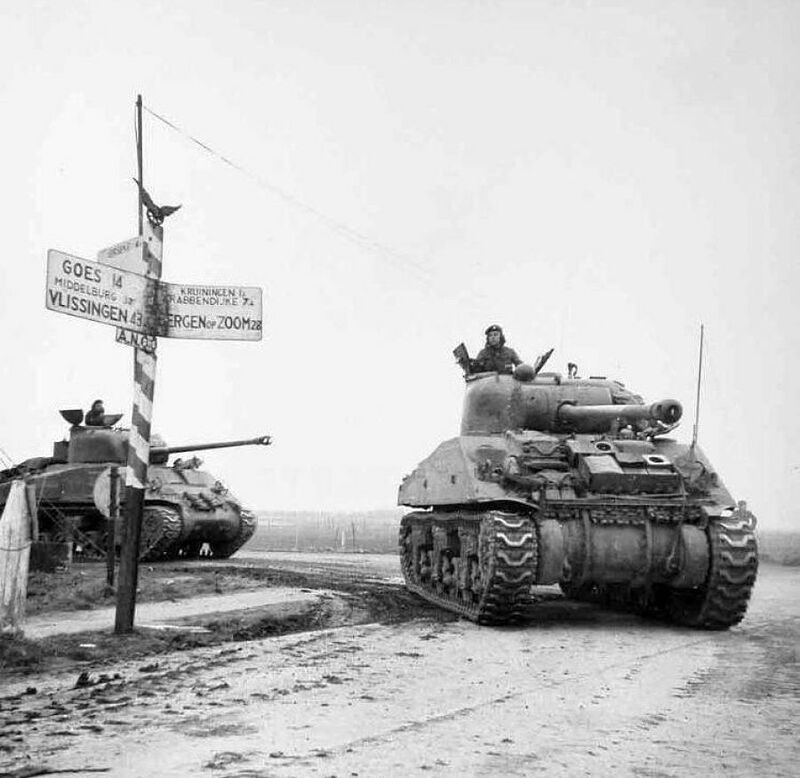 Canadian Sherman Firefly in the Netherlands, 1944. 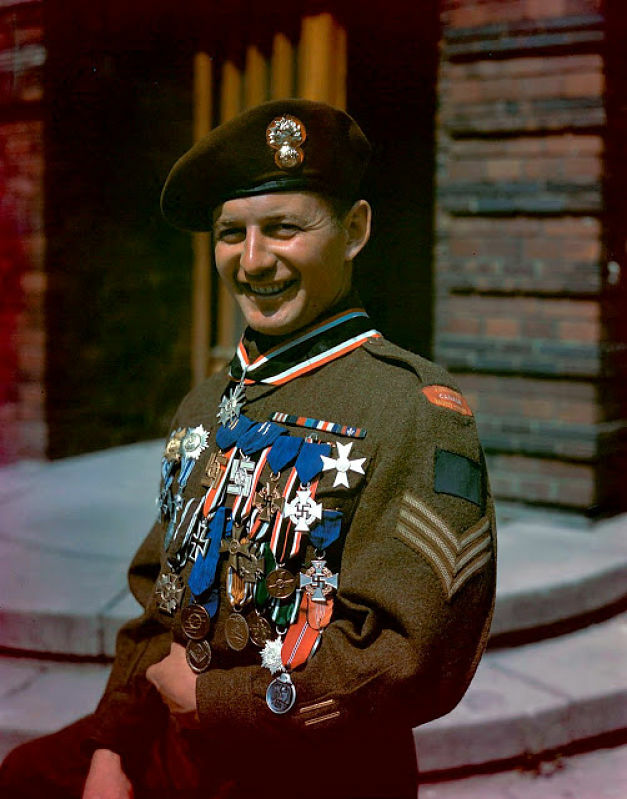 Sgt Gerard Durocher, of Canadian Les Fusiliers Mont-Royal - displaying twenty-nine German medals which he acquired as souvenirs. Berlin, 19 July 1945. 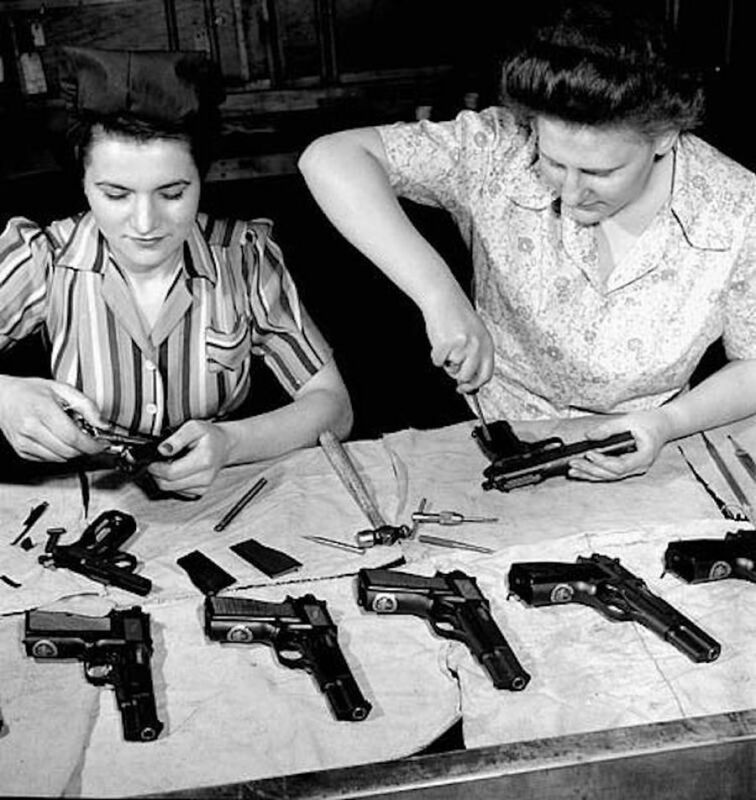 Female workers assemble Browning-Inglis Hi-Power pistols at the John Inglis munitions plant in Canada around April of 1944.